"Shared bathrooms but very clean." Have a question for Pension Absolut? 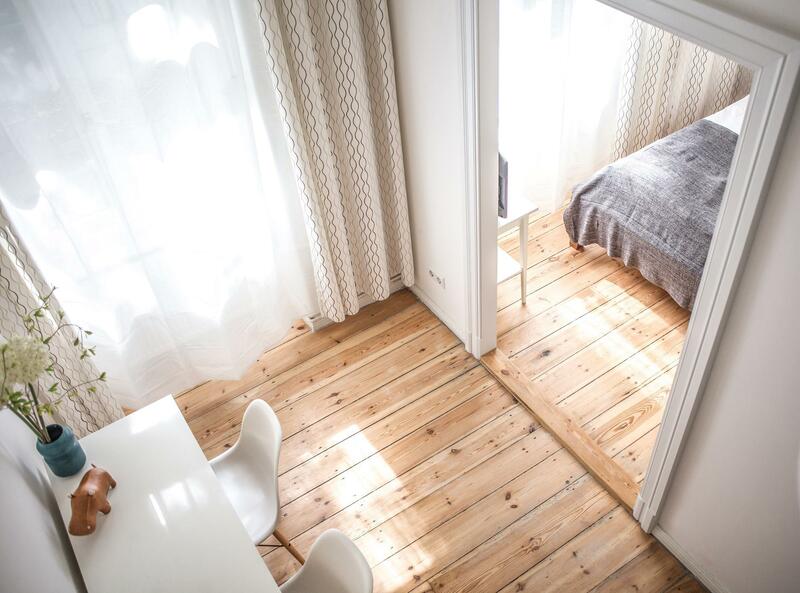 "Near the transit with lots of different shops & cafes nearby." "Rooms were comfortable and very clean." 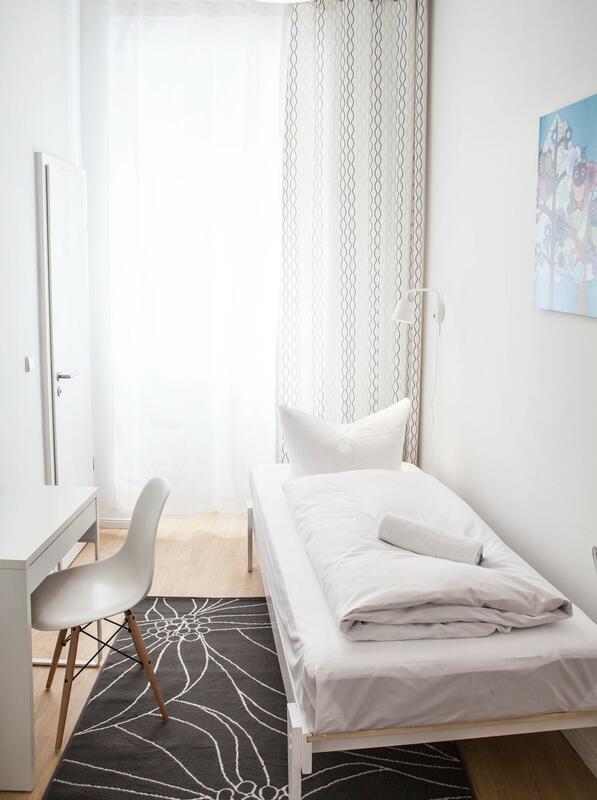 Designed for both business and leisure travel, Pension Absolut is ideally situated in Prenzlauer Berg; one of the city's most popular locales. From here, guests can enjoy easy access to all that the lively city has to offer. Also within easy reach are Black Dog Comics, Schoenhauser Allee Arcaden, Gethsemanekirche Church. Offering hotel guests superior services and a broad range of amenities, Pension Absolut is committed to ensuring that your stay is as comfortable as possible. For the comfort and convenience of guests, the hotel offers free Wi-Fi in all rooms, express check-in/check-out, luggage storage, Wi-Fi in public areas, car park. In addition, all guestrooms feature a variety of comforts. Many rooms even provide television LCD/plasma screen, internet access – wireless, internet access – wireless (complimentary), non smoking rooms, heating to please the most discerning guest. Besides, the hotel's host of recreational offerings ensures you have plenty to do during your stay. 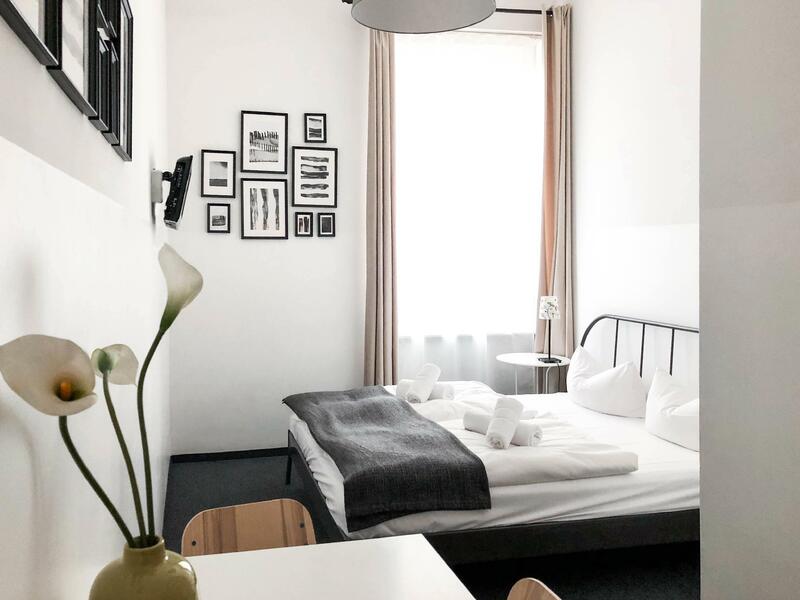 Whatever your reason for visiting Berlin, the Pension Absolut is the perfect venue for an exhilarating and exciting break away. "Excellent value for money and I will be returning!" Guests arriving after 06:00 PM are requested to contact the property directly prior to arrival. Guests are kindly requested to indicate their time of arrival in advance in order to arrange the handover of the keys. Full payment is required in cash upon arrival. The pension is small & cozy. Shared bathrooms but very clean. Small shared kitchen (no stove) to make snacks. Rooms were comfortable and very clean. Nicely decorated. Staff was friendly. Location was great. Near the transit with lots of different shops & cafes nearby. We enjoyed our stay and wished we were staying longer. Safe, clean and easy to access! Excellent value for money and I will be returning! The neighbourhood couldn't have been better, quiet but still with loads of very cool bars and restaurants between the hotel and the city centre, also very clean apartment and the bathroom facilities were great given that they were shared. 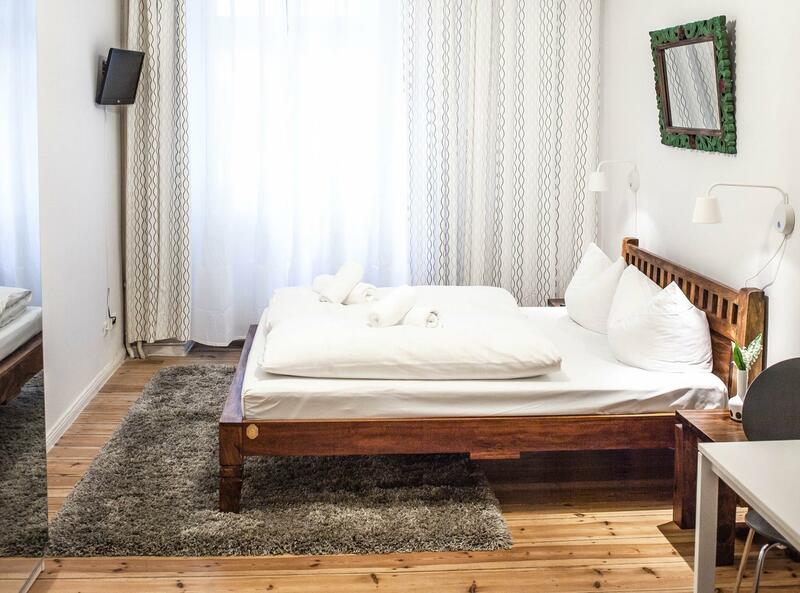 We enjoyed staying at Pension Absolut, and would probably do it again next time we're en Berlin. Due to late arrival we got a pincode per e-mail, and it worked really great. We actually didn't have to see the staff at any time. The madress, sheets, duwee and pillow was comfortable, we slept well. The bathroom looked brand new, and had a big "waterfall" shower head. Outside our room there was a small teakitchen with coffee machine, waterboiler and fridge to share with 3 other rooms. Negatives... Not many, but one is, that the bedlamps were acting weird and the light would constantly go on and off, so reading in bed wasn't really that easy. Second, it's on the grund floor, so you will hear people walking by quite clearly. But we would definitely come back anyways! Love this hotel - the moment we walked to our room, we felt so at home. The room is clean as well as the toilets. I think there are 7 rooms with 3 shared toilets. There is a small kitchen where we can boil water and make our own coffee or tea. Please note that I have rated 5 for dining & food because there are many restaurants nearby. The train station is also nearby. Lovely & friendly staff - thanks to Linda, who gave us very clear directions on how to reach the hotel. Would definitely book & stay again at Pension Absolut. 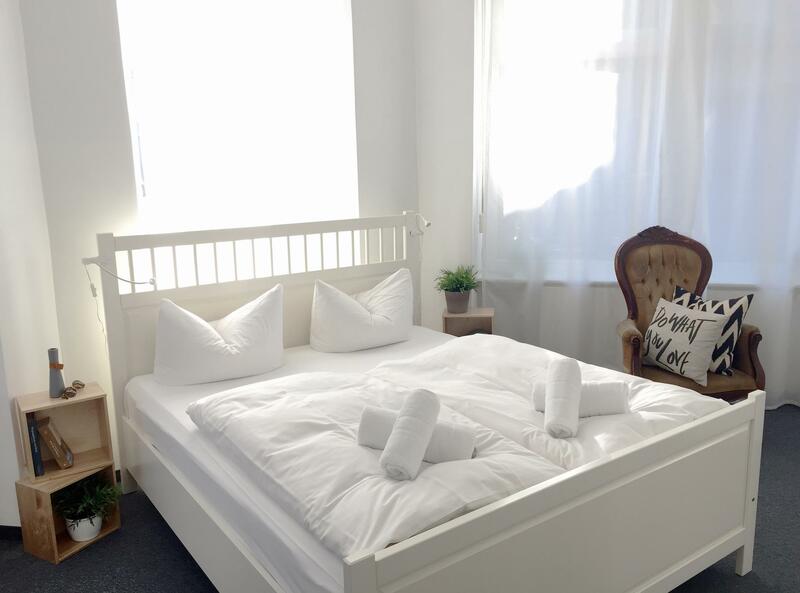 Highly recommending to people who wish to visit Berlin and stay in a comfortable place. My stay was just fine. It would be nice if the registration office were open longer in the evening. The only way to get ahold of anyone was to use my mobile phone to call. Good thing I had the number. Once contacted, the woman was very pleasant and also the next morning. I did leave my towels on the floor one evening and they were not picked up and replaced, so I had to use the same towels the next morning. Trash can in bathroom not emptied either. Also, wifi was free but cuts off every 30 minutes and you have to re-connect. It's annoying but at least I had it. Although the stay was quite short, it was enough to realize that this hostel is good in terms of quality/price relationship. The room was very big and even though we did not have own bathrooms, the common ones were really clean. 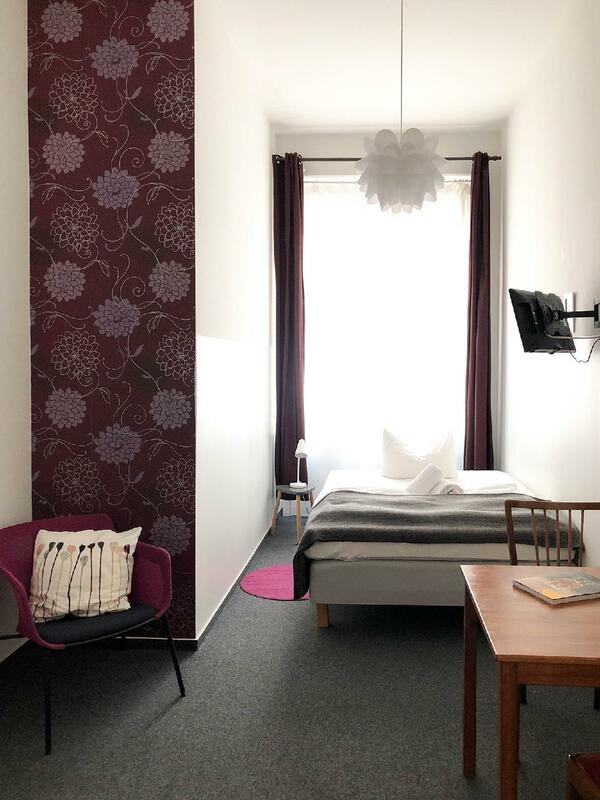 I strongly recommend this hostel at your stay in Berlin. Moreover, the location for me was very good. Nice neighbourhood. Die Pension war leicht zu finden, sehr sauber und nett eingerichtet. Die Buchung sehr unkompliziert. Die Sanitäranlagen waren sauber (Gemeinschaftsbad), bis zum nächsten Morgen, als die anderen Gäste bereits geduscht hatten. Demnach war dann etwas Chaos in den Räumlichkeiten. Daraufhin kommt für uns keine Übernachtung mit Duschen auf dem Gang in Frage. Alles andere war Tip Top. In der Küche wurde Tee angeboten, auf dem Flur viele Bücher und eine Waschmaschine stand ebenfalls zur Verfügung. Wir waren sehr zufrieden. Die Pension ist sehr neu, komfortabel und sauber, praktisch gelegen in der Nähe der Schönhauser Allee. 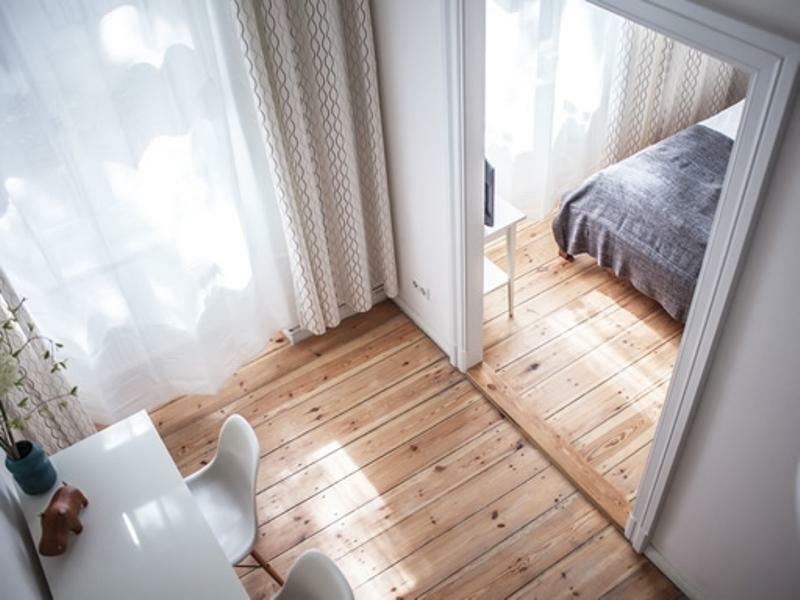 Leider sind die Zimmer etwas hellhörig. Preis - Leistung Verhältnis ist TOPP! Das Preis-/Leistungsverhältnis war für uns übereinstimmend ausgezeichnet. Super die Möglichkeit die Kücheneinrichtung zu benutzen. Die Zimmer und auch Badezimmer auf dem Gang waren sehr sauber gehalten. Die Pension ist ruhig gelegen mit wenig Durchgangverkehr während der Nacht. Die Lage ist top - nahe einer Bäckerei für das Frühstück (2min. zu Fuss) und der Linie U2 für ins Stadtzentrum (6min. zu Fuss). 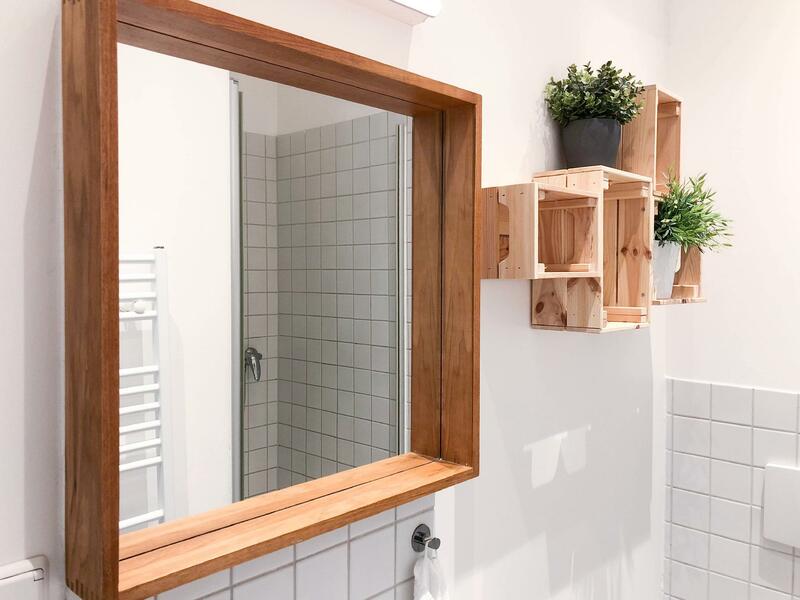 einfaches aber sauberes Zimmer, gepflegtes Badezimmer u. ordentliche Küche in der man sich mal schnell einen Kaffee kochen kann. Es war alles in Ordnung, das Personal in der Rezeption war freundlich. In einer kleinen Pension kann man kein 5 Sterne Haus erwarten. Der Aufenthalt war angenehm. Es war ein angenehmer Aufenthalt, mit den Räumlichkeiten war ich absolut zufrieden. Es wäre aber angenehmer gewesen, wenn die Rezeption am Abend auch besetzt wäre, ganz einfach dass es nicht ganz so anonym ist, auch um zu erfahren, ob die anderen Zimmer belegt waren und somit Nachbarn in der Pension sind, das wäre für eine allein reisende Frau interessant gewesen.